We offer a huge selection of 1958 Volkswagen Bug Cupholders and VW Consoles in your choice of styles and colors. Our VW "Plug N Chug" Cup Holder slides into the ashtray slot. It can hold drinks sized between 12 and 32 ounces. Plus, it has extra storage for a cell phone or garage door opener. Our VW Wireframe Basket fits over the center hump of your 1958 VW Bug. It has plenty of storage space plus two drink holders, one small and one large. It is available in a variety of finishes. For the rear seat, we offer a variety of bench seat consoles in an array of styles and colors. 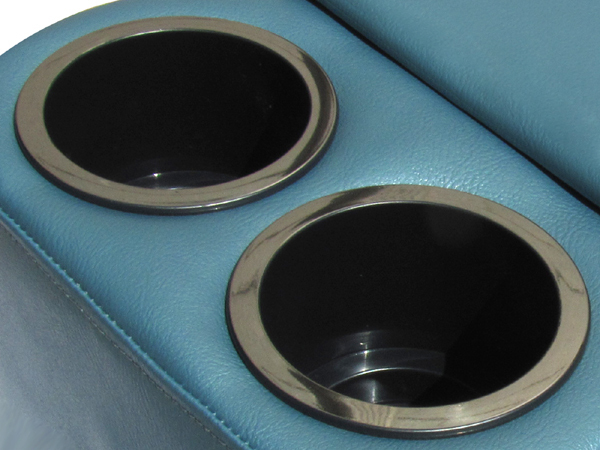 All of our VW Bench Seat Consoles include two cup holders and a felt lined storage compartment. Our VW Bench Seat Consoles are made with high-quality vinyl and are available in over 30 colors to perfectly match the interior of your VW Bug.